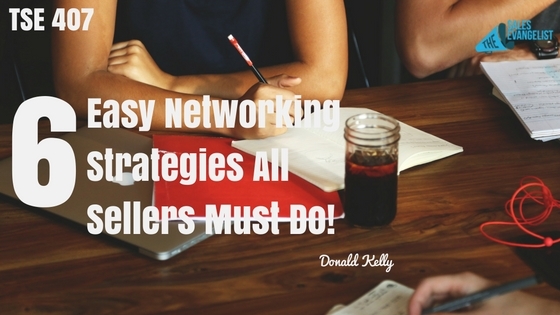 TSE 407: 6 Easy Networking Strategies All Sellers Must Do! Home » TSE Podcast Post Page » TSE 407: 6 Easy Networking Strategies All Sellers Must Do! How can people connect with others so deeply? How do they even do this? 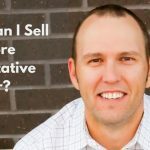 Your job as a seller is to sell of course. But imagine how much more you can sell or grow your business if you were able to connect with more key individuals including movers and shakers in your community. I was at a conference this week where I was a speaker at the Eastern Minority Supplier Development Council in Philadelphia. One of the speakers at the event was Dr. George Fraser, (who is a fantastic entrepreneur, author, and speaker) and he shared about some things which literally changed the way I’m looking at networking. And this is what I’m going to share with you today. 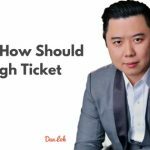 Hopefully you can gain something from this to help you increase your networking depth. Write 5 notes per day to individuals in your group. Whether you reach out to your civics board, clientele, friends, or any type of group you’re a part of, be sure to get out there and write notes to five individuals. People crave for personal touch. The Platinum Rule: Treat others the way that they would like to be treated. Again, everyone likes to be personalized and that’s the reason general ads don’t really work. Dig this: Connect with 5 people per day and that sums up to 25 people per week on a personal level. Make 5 phone calls to friends and family. Be it your friend on Facebook or way back in college. Keep in touch with people no matter how short it is and just catch up with them and check in on them. A 5-10 minute conversation is cool. Make 5 contacts with new people per day. Arrange at least 5 connections where you exchange contact information or where you can start building a friendship with. Make 5 sales calls per day. Be sure to reach out to at least 5 individuals about a sales/business conversation. Put it on your calendar and make this happen. Make 5 introductions per day to people who need to know each other. Everybody is trying to grow their business. The best way to get on someone’s radar is to help them make money. Is there someone you can connect them with? As a natural byproduct, people will not forget you for this and they will give you opportunities eventually. Help people make money and you’ll be more successful. Spend 20-30 mins. on social media to inspire others. This can be through sharing quotes to people in your community or perhaps some stats that can help the industry. Provide valuable information online but be sure to engage yourself as well. Give genuine comments on other people’s posts. This shows people that you do care for them. Do these 6 things for 30 days and you will see a huge, huge difference, an increase in your opportunities not only to connect with individuals but also increase your business, sales, and your net worth. Please support us in our Indiegogo campaign, a movement to inspire others to Do Big Things. Simply go to www.DoBigThings.net. Or even if you can’ make it to South Florida, you can still get a virtual ticket and get access to all the recordings so you can do big things wherever you are.